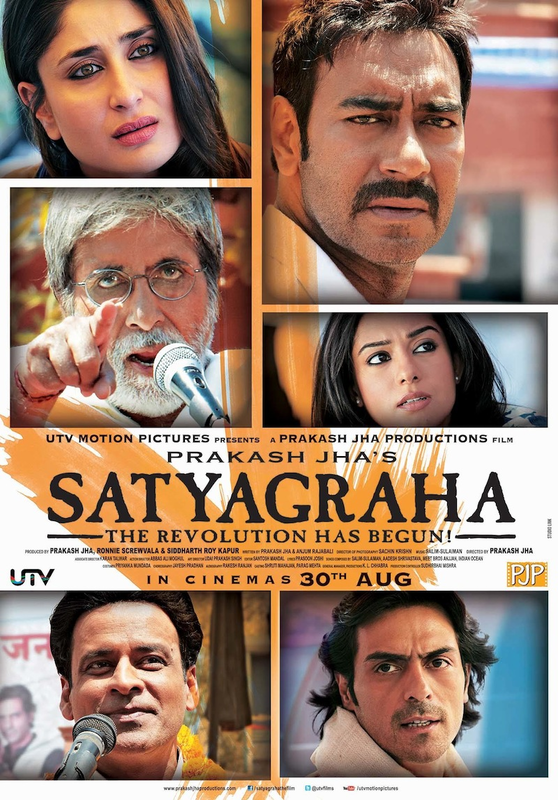 Prakash Jha directs Amitabh Bachchan, Ajay Devgan and Kareena Kapoor in the socio-political drama Satyagraha in an attempt to recreate the period of turmoil and pseudo revolution the country went through with the Anna Hazare movement for Jan Lokpal bill. Considering the state of politics in the country Jha couldn’t have chosen a more apt topic for storytelling and the cast that is so on-the- nose with the figures that featured in the actual movement. Amitabh Bachchan is Anna Hazare, Ajay Devgan is Arvind Kejriwal, Kareena Kapoor is Sazia Ilmi, the police officer is presumably Kiran Bedi and the lawyer is Prashant Bhushan. The story starts of jerkily with a grumpy old map Dwarka Anand played by Amitabh berates Manav played by Devgan for his capitalist ideology and blames him and other of his ilk for the rampant corruption that is crippling the society. While not untrue the preachy monologue feels overbearing and when you are playing to crowd of 500 who have paid an exorbitant amount of money to go see the movie it is self-defeating when you go on a diatribe about consumerism and capitalism. 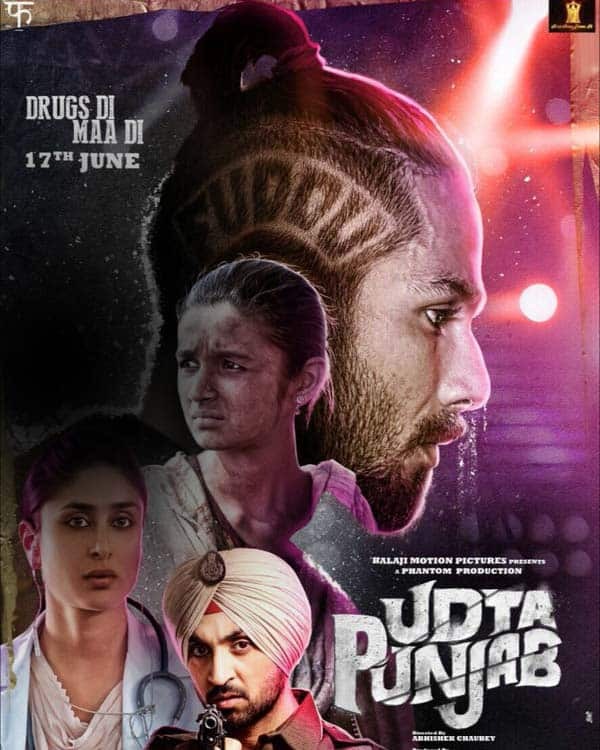 The story has good intentions but it does not fill out the plot between the bullet points which form the skeleton of the story and the dialogues are so stilted and clichéd that it is hard to sit through. The first half of the movie had me throwing up my hands in exasperation so many times that it is a surprise I was able to sit for the second half at all. The second half gets better with the actors being given a much tighter script and a more thought out screenplay. But the reliance of the story on the actual Anna movement is so obvious that any deviation from the original sticks out like a sore thumb. The point where Arjun Rampal picks up arms makes absolutely no sense whatsoever as does the Janta Rocks song. Amongst actors Arjun Rampal is not terrible and that is about as high a praise as he is ever going to get from me. Amrita Rao is pretty and does the simpering widow role justice but she seriously needs to work on her voice modulation because he voice grates on your nerves after a while. Manoj Bajpai is the biggest disappointment as he brings nothing new or novel to his corrupt politician role as this is the same role which he has played in almost all of Jha’s movies off late. Ajay Devgan is alright but nothing to write home about gone is the latent intensity of Gangajal. Kareena Surprises as she is at the same time very beautiful to look at and does hold her own between Devgan and Bachchan. And what can be said about Amitabh Bachchan that has not already been said – he is a genius when it comes to acting, he looks fantastic for his age here and he carries the entire weight of the movie on his very able shoulders and that baritone of his. This is one of the best Amitabh Bachchan performances of late and I wish there exists a film maker who can write a story without the need for a massive ensemble and just give me 2 hours of Amitabh Bachchan acting out a brilliantly written role. All I can say is Give it up for Bachchan and give up everything else! My biggest problem is with the choices Jha makes, for a film maker of his reputation it is unforgivable the amateurish way the movie is made, some of the scenes feel more like story blocking scenes where in the actors are reading the scenes and not necessarily acting them out, the reliance on clichés and word for word reference to the Jan Lokpal movement. While trying to keep it as close to the real movement Jha comes off as lazy and relying on evoking the memories by using the same phrases (the law is made by elected officials not by people on the street, dictatorial attitude and many more). The use of rock band and rock music to make it more youth-centric seems misplaced. One thing to Jha’s credit is the way he shows how the social media can be manipulated and what an important role it plays in keeping such a revolution alive. Of the songs , “Raske Bhare Tore Naina” fails to evoke the “Mora Piya” from Rajneeti, Janta Rocks and Hum Bole The are just plain bad. 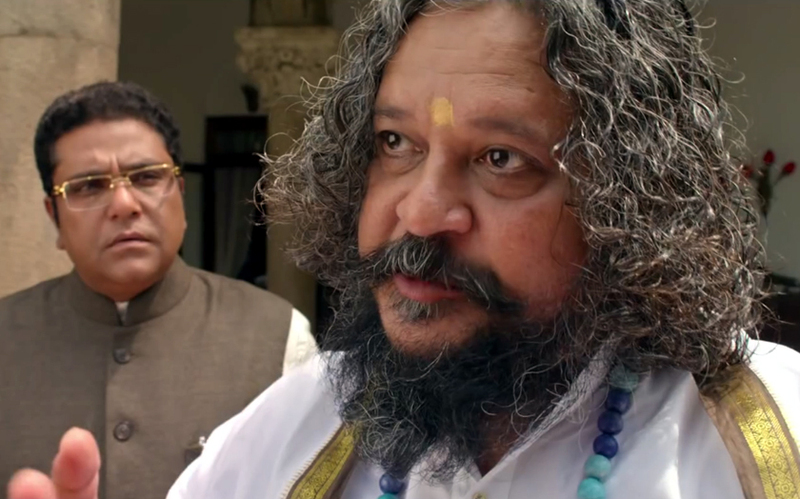 Raghupati Raghav Raja Ram is actually quite well written by Prasoon Joshi. I really wouldn’t recommend this movie outside of the brilliant turn by Amitabh and perhaps if you want to relive the Jan Lokpal movement. In terms of original content Jha fails miserably. Good intentions do not necessarily a good movie make.